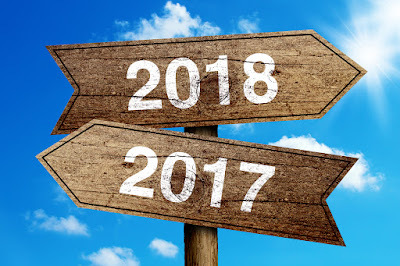 New Year's Eve is a time to look back at the things that have happened over the past year, as well as a chance to dream about the wonderful things possible in the coming year. Here at Bridal Cave & Thunder Mountain Park, we can keep track of a lot of things that happen at our scenic Lake of the Ozarks family attraction by reading back through the blogs that we've shared with you. These blogs are a great way to keep up with current events at the park and learn interesting information about nature and the area we live in. In case you missed any of them, here are some highlights from our 2017 blogs. Christmas weekend looks like it's going to be a cold one, but that doesn't mean you have to keep everyone locked away inside the house. Bridal Cave & Thunder Mountain Park are open year-round so that you can enjoy nature, no matter what the weather! 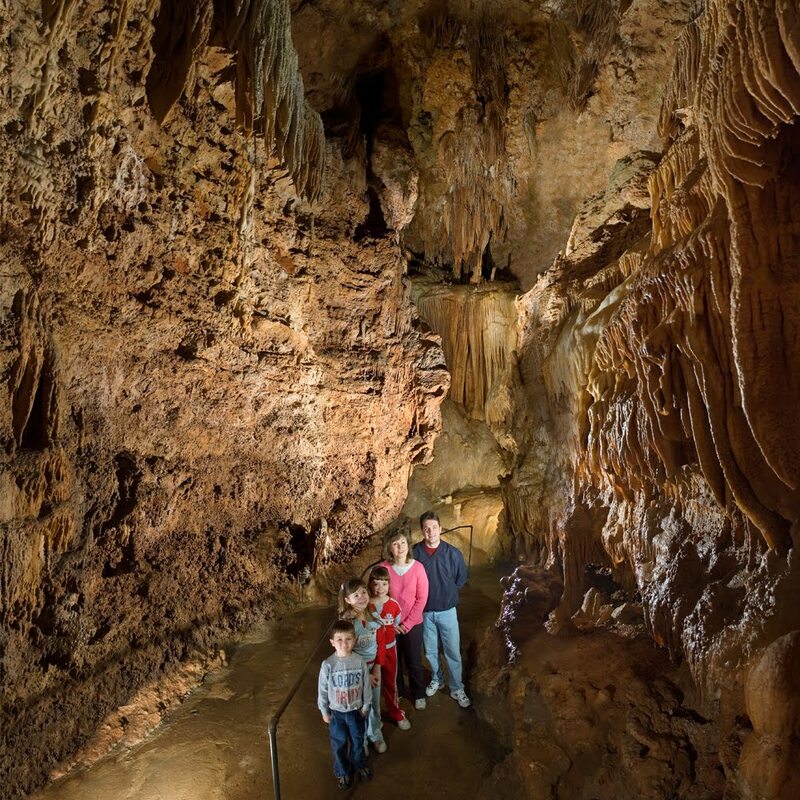 Even if it's a little chilly to be hanging around outside at the park, it's always a comfortable 60° inside Missouri's most scenic cave tour, allowing you to get out of the house and into nature without freezing! Shimmy out of that heavy winter coat once you're inside the cave and feel like it's a nice, cool, fall day again. 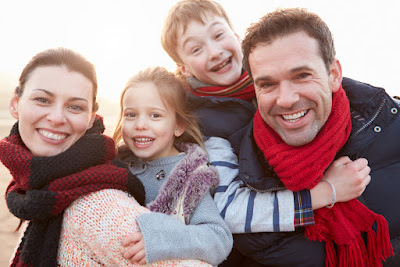 Instead of getting stir-crazy stuck inside the house, bring the family here to hang out with us over the holidays. We are open daily from 9 am - 4 pm with Bridal Cave tours leaving every few minutes. The only exception will be that we will be closed on Christmas Day and New Year's Day to celebrate the holidays at home. There is something very special about putting up a real tree for Christmas. The look, smell, and feel can be difficult to duplicate. Once the holidays are over you, can't just pack it away until next year like with an artificial tree. 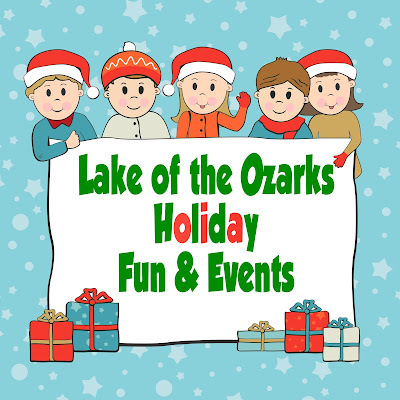 What you CAN do is bring it to the Lake of the Ozarks most scenic attraction and let us recycle it for you! Bridal Cave & Thunder Mountain Park will once again be accepting your old Christmas trees once you are done with them. Instead of throwing them away, bring them to us and we will repurpose them into a wonderful home for the many fish that live in the Lake of the Ozarks. This is a wonderful opportunity to teach young children about the importance of recycling and show them how they can easily help to improve the world around them. 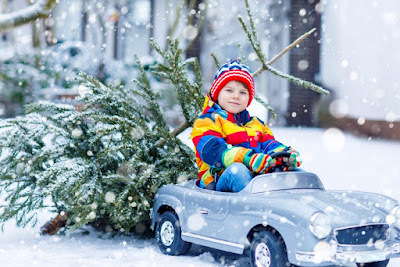 Recycling your old Christmas trees in this way keeps them from being discarded along our roadways, plus it offers much-needed cover for our lake area fish. It's well-known that the lake area is a popular place during the summer, but there's a lot going on here in December too! Our scenic attraction at the Lake of the Ozarks is open year-round so you can enjoy the natural beauty of Thunder Mountain Park and the breathtaking wonder that is Bridal Cave anytime you are in the area. This month, however, there are a few fun holiday things happening that you may want to make some time to enjoy too.